Do you hate eating vegetables? I hear this a lot from people. They know they should be eating more vegetables but they just can’t bring themselves to do it. Oh, yes, it’s that darn word again. Anxiety. Why, Diana, you ask, why does everything you say have to do with anxiety? Because, dear reader, that is my area of specialization, and THAT is what causes people to NOT EAT THEIR VEGETABLES. 1) I have to eat an entire salad and I will hate it. 2) If I try the vegetable, I will have to eat the whole thing, and I won’t like it. 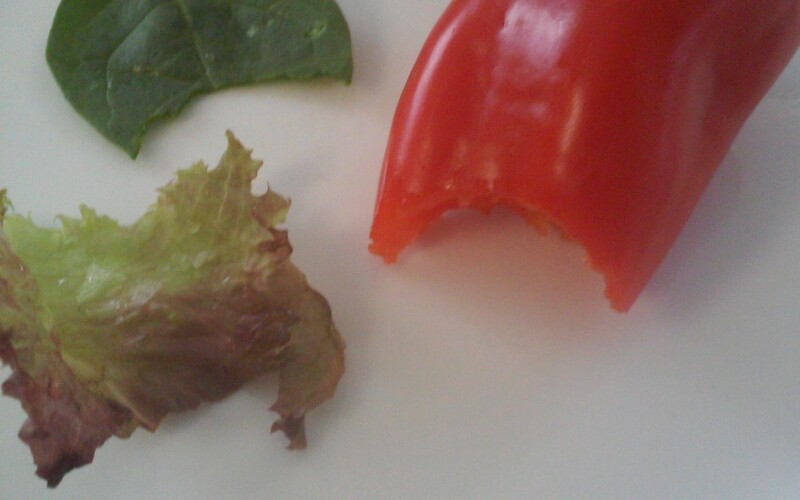 3) I will hate it just like I hated that other vegetable I tried to eat 10 years ago. 4) I am a meat and bread person and I hate vegetables. 5) This is who I am and it’s not going to change. When you get trapped inside of old thoughts, old experiences, and negative projections into the future, then you are having the experience of anxiety. The all-or-nothing thoughts of “like” or “hate”, “good” or “bad”, “eat the whole thing” or “eat nothing” are keeping you immobilized. Polarized thinking is preventing you from following your gut instinct, which is to eat more vegetables and be HEALTHIER! 1) I can take one small bite and see how that goes. I can handle it. 2) I can handle eating a small amount of veggies. 3) I can use my sense of curiosity and adventure to sample new foods. 4) It’s OK if I don’t like it. I just need to taste it to find out. 5) I am a healthy person who eats a wide variety of foods. 6) I am who I decide I am. I am not a victim of past experiences. I am the creator of my life experiences. Be empowered to taste new foods. Promise yourself to just take one bite. Imagine yourself eating a new veggie and feeling neutral about it. Even if you can’t imagine liking a veggie, you can at least be a robot about it, and just eat it in a neutral way. Don’t use emotions if they aren’t useful to you. by Diana Zilly, MS, MA, LCPC, NBCFCH. Diana is a Licensed Clinical Professional Counselor, Fellow in Clinical Hypnotherapy, and Adjunct Professor of Psychology at Joliet Junior College.